Lost bag rate dips. Again. Good news for air travelers who check their bags and worry about those bags getting to their destination. According to the just-issued SITA 2018 Baggage Report, airlines around the world have once again improved the rate of baggage delivery, continuing a more than decade-long trend of improvement which has seen baggage mishandling drop by 70% since 2007. The rate of bag mishandling has dropped, notes SITA, even though 2017 saw a rise in the number of passenger to more than 4 billion. In 2017, the number of mishandled bags was 5.57 per thousand passengers, the lowest level ever recorded. That’s good news, but mishandled bags cost the industry an estimated $2.3 billion in 2017. And it is of course a hassle if it is your bag that ends up delayed or lost. So SITA is encouraging airlines to continue investing in end-to-end bag tracking. For a look at what happens to your checked bags once you hand it over at the check-in counter, see my recent At the Airport column on USA TODAY: The trip your luggage takes without you. What happens to those checked bags? My ‘At the Airport’ column for USA Today this month was all about the journey luggage takes between the check-in counter and the plane. For passengers, the route from airport curb, through security, to the gate and onto the plane usually proceeds in straightforward, if often slow, irritating and all too familiar steps. But what about the journey checked luggage takes from the check-in counter to the plane? That process is a mystery to most travelers, but not a secret, so I visited Seattle-Tacoma International Airport (SEA) to follow the route luggage takes from the ticket counter, into the “bag well” (a noisy, cavernous, machine and luggage-filled area where all checked bags spend time) and out to the planes. Sea-Tac Airport, like many other fast-growing airports around the country, is working with the Transportation Security Administration to upgrade and optimize its current baggage handling system to make the process faster, smoother and more reliable. But, at just about every airport, the route a bag takes from the check-in counter to the plane continues to be, essentially, the same. At SEA, the ‘other side’ is like a highway made up of 12 miles of conveyor belts (10 miles for outbound bags; 2 for inbound bags headed to bag claim). Dallas/Fort Worth International Airport has 14 miles of conveyors across its five terminals and, at Los Angeles International Airport, the Tom Bradley International Terminal (TBIT), which processes about 25,000 outbound bags a day, has 3 miles of conveyor all its own. By contrast, at tiny Walla Walla Regional Airport in Washington State, where there are 4 or 5 roundtrip flights a day (depending on the day) there are 20 feet of conveyor belts in the bag handling system. At Eastern Oregon Regional Airport in Pendleton, which offers 3 roundtrips daily to Portland on Boutique Air, “Bags travel about 25 yards on a private, hand-pushed baggage cart, often by the same person that checked you in,” said airport manager Steven Chrisman. 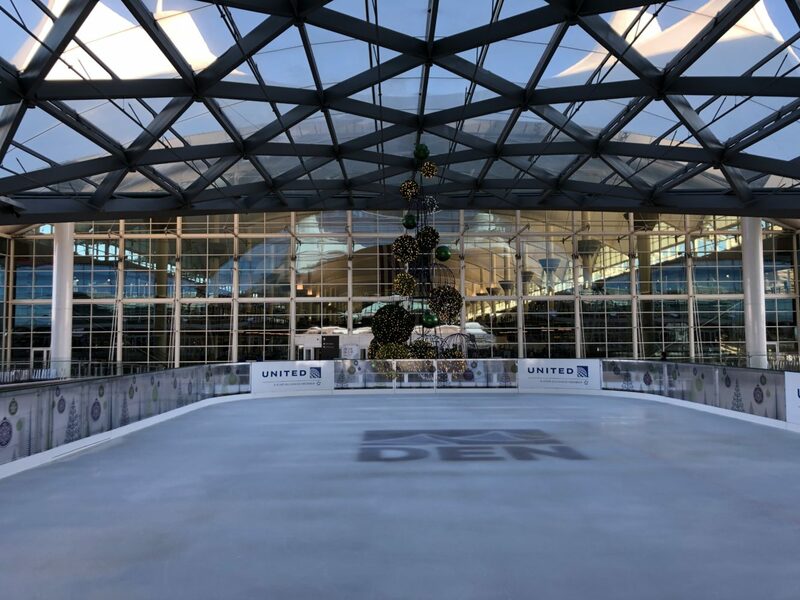 I wasn’t able to travel with the bags on the conveyors at the Seattle Airport, but both DFW Airport and Amsterdam Schiphol Airport have shared short videos offering thrilling bag eye-views of the journey. At SEA, checked bags from various airlines mingle together on the conveyor system that first takes the bags to and through one the TSA’s Explosives Detection System (EDS) machines. If the bags are cleared, they go to the ‘sortation’ phase of their journey, where luggage tags are automatically scanned and bags are divvied up by airline. After that, a system of diverters sends bags by batches of flights to a carousel ‘makeup’ area where bag handlers armed with tag readers stand ready to manually separate bags by flight. “As the bag comes through on the conveyor belt, I scan it to see if it’s a bag for my flight,” said Delta Air Lines Ramp Agent Kim Farrington. If so, Farrington transfers the bag from the carousel to a cart that, when full, gets driven out to the plane where handlers move the bags from the cart to a belt loader that sends them up into the plane. For wide-body aircraft, containers filled with baggage may be taken from the bag well and loaded directly into the hold. 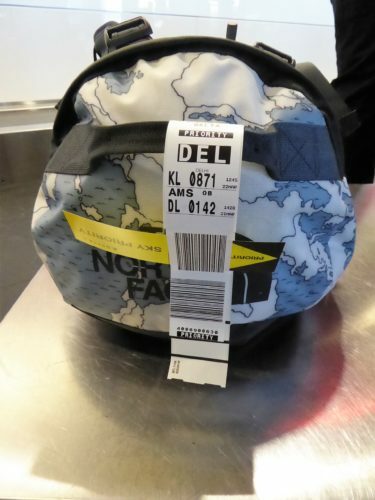 On Delta, and other airlines that have embedded RFID (radio frequency identification) tags into the traditional bag tags, there’s an added step: a photo eye reads the RFID into on the bag tag as its goes onto the plane and notifies a passenger via an app that their bags have been loaded. When the bags come off the plane at the other end, the photo eye reads it again and lets the passenger know they’ll soon be reunited with their luggage. Howard also advises passengers to “neaten up,” their luggage before checking it in. That includes securing loose straps that might get caught in the conveyor belt rollers and machinery and making sure not to check bags that are over packed or those with faulty or straining zippers or closures that could pop open during the bag’s journey. That’s good news, because today Denver International Airport reported that it’s 50 millionth passenger was Santa Claus, who arrived on Great Lakes flight #1225. DEN airport officials said “Mr. Claus was presented with a check for $3,500 – a donation made on his behalf to the Toys for Tots Foundation – and a blue “50 millionth passenger” sash. Briggs & Riley has gotten together with the Luggage Fairy, who has promised to pick up the checked bag fee for a few travelers who visit the company’s Facebook page and enter a holiday contest. Each day from December 21 through 23, visit the Briggs & Riley Facebook page to find the Luggage Fairy’s hint about her season’s picks for the best checked bags. Post your answer and get a chance to win a $25 gift card to pay for your next checked bag.